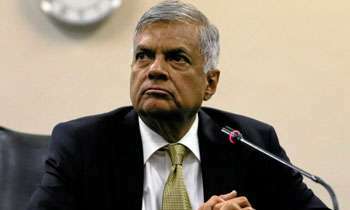 Stating that the global economic crisis is turning to the worse, Prime Minister Ranil Wickremesinghe today stressed that government expected support of everyone to see the nation through from it. Prime Minister Wickremesinghe said this at the opening of a new building at Bandaranaike Nawodya School and the opening of new divisional Secretariat office in Galgamuwa last morning. “ The oil prices went up initially as a result of high demand by countries such as China and India. They demanded more as their production went up. Also, economic sanctions imposed on Iran by USA and the high demand for oil as winter season approaches had also contributed to the crisis. US sanctions has a big impact as Iran produces 1.5 million barrels per day. On top of that economic collapse of Venezuela another oil manufacturing country has also worsened the situation. We have to face this situation” the Prime Minister said. “ Some countries who have opted to stock oil had paid $ 90 a barrel while others are planning to pay $100 per barrel. These are counties which have a high export revenue. Countries such as Sri Lanka India and Pakistan has no high export revenue. Therefore we have to increase our export earning. We have to do it as there is no other option. Government has already curtailed imports but that cannot be done continuously” he added. “ We hope all parties will shed their political differences and support the government to overcome this crisis. Anyone can criticize the government but that won’t resolve the crisis” he also said. A good 25% of the GDP would be consumed by the 225 blood sucking leaches. Oxygen is running out for all of you ! WORSE TO COME - PM . Is that why you bought 2 cars to the value of 300 million Rupees of tax payer money for your personal use - SHAME ON YOU - RW. PM Sir, all the worst things have already happened. What more to happen - one set of culprits will be ousted and other set of politicians/culprits will be brought back into power once again. This is our history and fate of the people.